Thyme (Thymus vulgaris) is a must-have herb to keep in the kitchen. Use it fresh in the summer and the dried herb in the winter. Add it to your food, make herbal teas with it, add it to your creams and ointments. Its benefits and medicinal uses are applicable all year round and it tastes great and has an uplifting smell. The key essential oils are thought to be down to the thymol and carvacrol. Did you know it also has rosmarinic acid? Aromatic herbs are bursting with fragrance. In this case it smells woody and sweet. The bees love it. Aromatic herbs are great for discretely moving gas. So if you’re feeling bloated or windy, a cup of thyme tea will help you to feel more comfortable. Thyme is a broad-spectrum antibacterial agent. This means it kills a lot of bugs. Researchers at the School of Pharmacy and Biomolecular Sciencesat the University of Brighton found that thyme essential oil can kill Methicillin-resistant Staphylococcus aureus, otherwise known as MRSA. They need to test it out on people in order to be sure but the early research is promising. It’s also antiviral – so kills off bacteria and viruses. Thyme is traditionally used as an anti-spasmodic; particularly when you have those painful coughs where it’s hard to cough anything up. 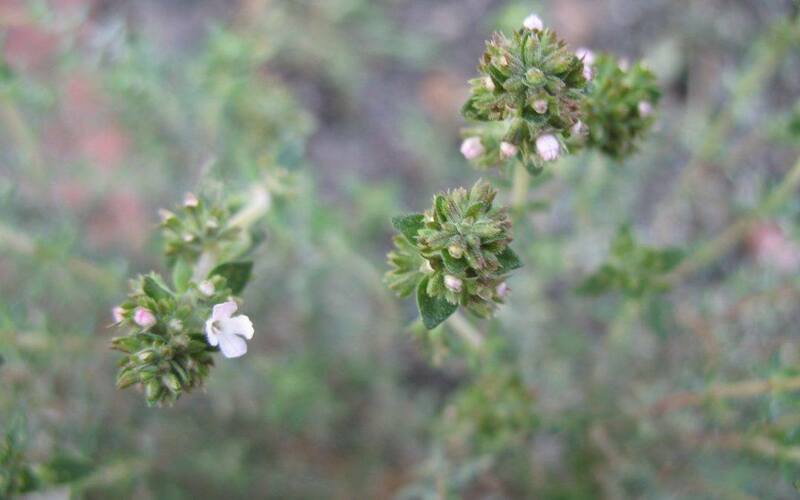 Thyme increases the amount of phlegm that you have and thins it out. This makes it easier for your body to remove whatever is responsible to causing the cough in the first place. But remember, coughs that go on for a long-time or coughs that have a colour to them for longer than 3-days should be checked by your doctor. Would you like to use a mouthwash that isn’t bright blue or some other fluorescent hue? Gargling daily with thyme tea or a thyme tincture watered down with water will keep your throat and gums happy. Remember how thyme is antibacterial and antifungal? Thyme essential oil is a key ingredient alongside myrhh and calendula in my athletes foot spray recipe. there are no known side effects associated with thyme. Thyme essential oil is very strong and should never be used undiluted. If you don’t dilute it enough, there is a risk of irritating your skin.